LONDON – The 114th session of the International Coffee Council took place from 2-6 March 2015 in London. ICO Members from 40 coffee exporting and 33 coffee importing countries as well as members of the private sector attended the meetings. Mr Conradin Rasi, 1st Secretary and Deputy Head of the Economic Section of the Embassy of Switzerland in the United Kingdom, chaired the meetings and will also lead the September 2015 meetings scheduled to take place in Milan, Italy. The following is a summary of the highlights of the March 2015 ICO meetings. Visit our website to find the schedule of meetings and all other ICO documents. 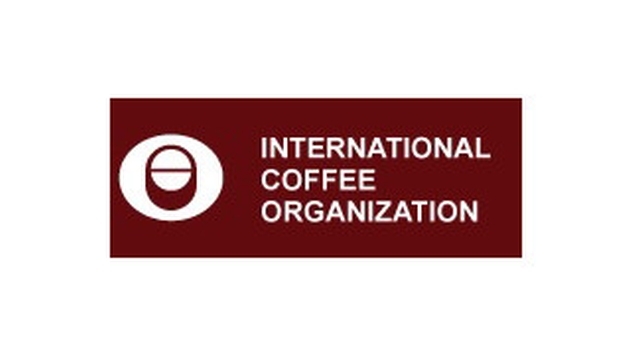 The ICO presented the latest state of the coffee market to the International Coffee Council. Highlights from the presentation included a statement on production for crop year 2014/15 which is now estimated at around 142 million bags, 3.2% less than last year. An initial estimate for Brazilian coffee production in crop year 2015/16 is for between 44.1 and 46.6 million bags, roughly unchanged on the current year. Despite this lower production level, however, the ICO composite indicator price reached a one-year low in February, averaging 141.10 US cents/lb. This could be attributed in large part to the record level of exports recorded in calendar year 2014, which came to 112 million bags, encouraged by depreciating currencies in many exporting countries. These exports have resulted in a drawdown of stocks in exporting countries, which will likely exert upward pressure on prices in the near future. With the signing of a Memorandum of Understanding between the ICO, the 4C Association, and IDH, the international coffee market sees the biggest public-private alliance to date. Established to facilitate the long-term sustainability of the global coffee market with a farmer-centric approach, the alliance aims to cost efficiently scale existing initiatives and fill gaps towards collective impact in the coffee sector. The event was chaired by Mr Juan Esteban Orduz, Colombian delegation, President and CEO, Colombian Coffee Federation, Inc. The 5th Forum promoted an exchange of views on ‘How to effectively structure a project in order to obtain financing’. The objective was to build on the successful work of the 4th Consultative Forum, held in September 2014, and to delve deeper into the mechanics of project finance. A series of experts gave presentations on the practical steps necessary to access finance. At the 5th Forum, the World Bank and the ICO presented a new Compendium of Case Studies on Access to Finance funded by the Governments of Switzerland and The Netherlands. The study contains information and case studies on opportunities and challenges in access to finance from smallholder farmers. The ICO and World Bank will be hosting a series of webinars beginning in May 2015 to disseminate the results of the study. The webinars will be open to the public and information will be disseminated on the ICO website and via the ICO Newsletter. The ICO has published a new study on the sustainability of the coffee sector in African countries. Coffee is an important commodity in many African countries both in terms of export earnings and generating income for smallholder farmers. The study focuses on the dynamics of African coffee production and the adoption of sustainability standards on the continent. It is available in print and on the ICO website. Last year, the Council agreed to hold the 115th Session of the International Coffee Council and a Global Coffee Forum in Milan, Italy, in September 2015 on the occasion of EXPO 2015 in Milan. The Italian government will soon be releasing a schedule of events which the ICO will disseminate to the public. On the occasion of the 1st Global Coffee Forum in Milan, ICO Members will also celebrate International Coffee Day. Last year, the Council agreed to celebrate the first ever International Coffee Day on October 1st 2015. The ICO will coordinate an online campaign to celebrate the day at EXPO Milano. Member countries will also coordinate events and campaigns in their own countries. The Ethiopian government presented an overview of the plans for the ICO’s 2016 World Coffee Conference. Ethiopia is committed to hosting a world-class industry event. Their collaborating partners, ranging from government, to industry, to non profit organizations, are coordinating their contributions and skills to ensure that the conference and forum are seamlessly delivered to our honored guests. A presentation which can be found on the ICO website includes an overview of the arrangements that are in progress. The ICO and the Speciality Coffee Association of Europe UK Chapter have partnered to host a series of coffee education events at the ICO headquarters. The events, titled ‘The Coffee Sessions’, aim to drive interest in coffee quality, to improve standards and to shorten the distance between farmer, roaster, barista and consumer. ICO Members will benefit from the promotion of the positive attributes of coffees from all origins: Africa, Asia, and Latin America. Maxwell Colonna-Dashwood and Ronny Billemon presented the first in the event series on 12 March.